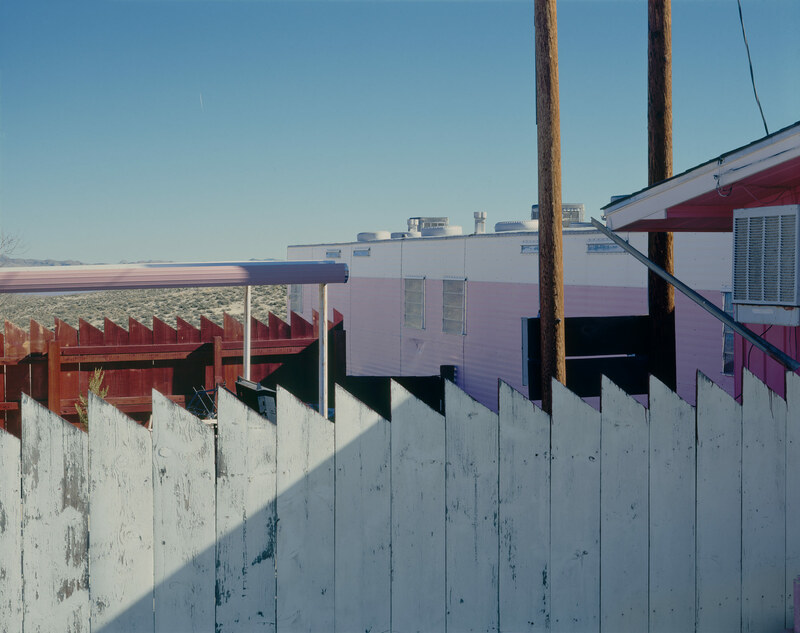 In between photography assignments for virtuosos such as Moshe Safdie, Marlon Blackwell, and Rural Studio, Timothy Hursley takes long drives throughout the rural South and other parts of the country and aims his camera at the neglected structures and forlorn dwellings of obscure or shunned subcultures. Hursley’s ramblings have produced several series, including his photographs of both the interiors and exteriors of the brothels of Nevada. These gentle narratives, in which the women are notably absent, bear no hint of judgment. “The photographs are stronger without people,” Hursley said. “They are like footprints of a subculture.” When Hursley stumbled upon Bobbie’s Buckeye Bar, the owner would not let him in. 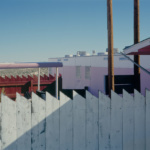 Left to contemplate the outside, Hursley found a composition in which the running white fence symbolized customers entering the pink brothel and “then coming out tainted red,” he explained. Finding himself in Utah, as the trial had just begun for convicted felon Warren Jeffs, the former leader of the Fundamentalist Church of Jesus Christ of Latter-Day Saints (FLDS), Hursley wondered what the architecture of polygamy looks like. 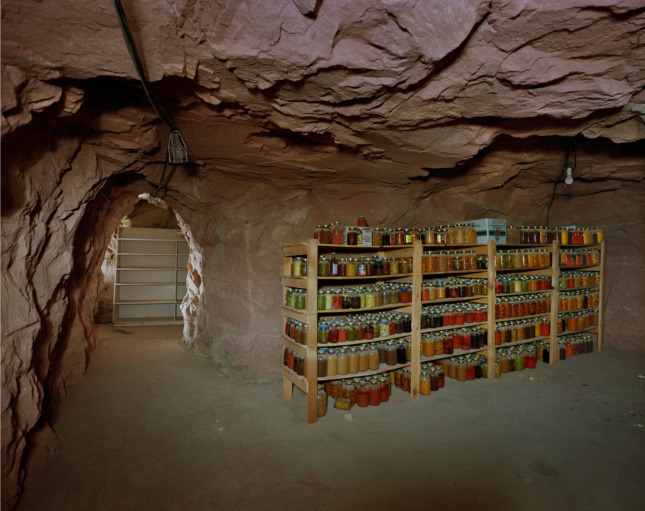 An apostate brought Hursley to the FLDS cave in Hildale, Utah, a stronghold of polygamy, where he photographed the eerie interior and a new series was launched. 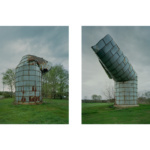 A quad of photos and a time-lapse video of a dilapidated silo in Hale County, Alabama, are the subject of the Oxford American video SoLost: The Beauty of a Broken Silo. Photographed from different angles, the bent and rusted structure radiates a heartrending anthropomorphism. 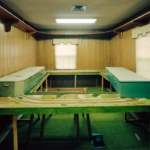 Closer to his home in Little Rock, Arkansas, Hursley stumbled upon two beaten-up white hearses that triggered a new fascination with the rundown funeral homes that dot the rural landscapes of the deep South. 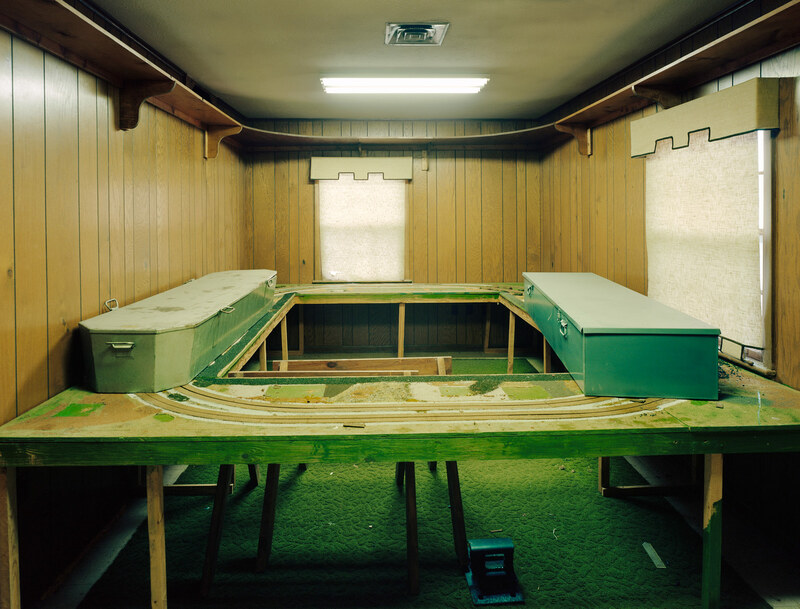 In one curiously intriguing image, Train Ride-Vicksburg, Mississippi, 2014/2016, two coffins sit on either side of a nearly room-size toy train track. For Hursley, the scene—odd, yet ordinary—is an analogy to the human condition, traveling through life to our inexorable ends. And perhaps most curious for an artist attracted to scenes of obscurity is his series of photographs of the legendary Andy Warhol’s last factory in the early 1980s. 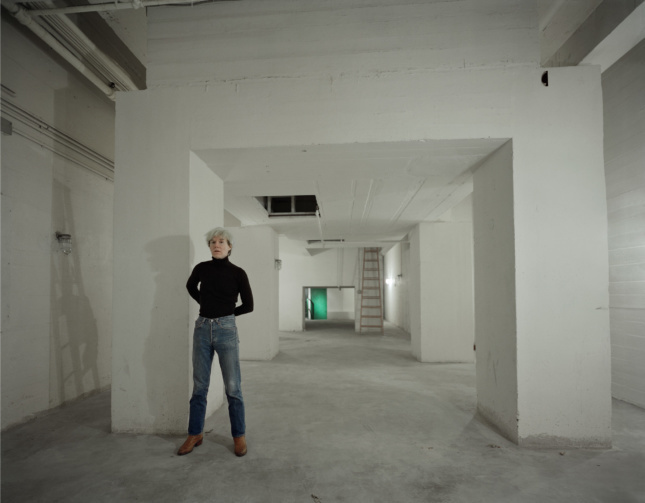 The studio spaces were still raw at the time, recalled Hursley: “There was a lot of junk around, so I decided to roam around the space and start documenting what was there.” Eventually, Hursley enticed Warhol to come down to the cavernous space where he snapped an extraordinary photo in which a blue-jeans-and-black-turtleneck clad Warhol stands against the abstract geometry of the white space, illuminated by a distant doorway awash in an industrial shade of green. Timothy Hursley: Tainted Lens, a solo exhibition of these and other works, is on view at the Garvey|Simon gallery in New York through June 10.